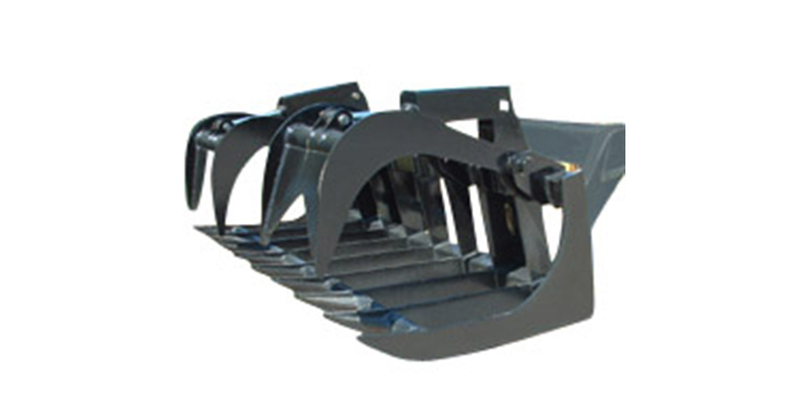 AIM Grapple Rakes are excellent for severe duty brush and debris removal, demolition, material cleanup and more. The dual clamp design allows for the handling of uneven loads. Guards protect the cylinders from damage.